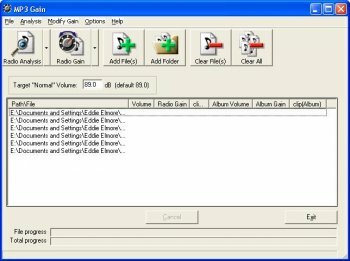 MP3Gain analyzes and adjusts mp3 files so that they have the same volume. It does not just do peak normalization, as many normalizers do. Instead, it does some statistical analysis to determine how loud the file actually sounds to the human ear. Also, the changes it makes are completely lossless. There is no quality lost in the change because the program adjusts the mp3 file directly, without decoding and re-encoding. If you use a real speaker system you can hear the sound quality got worse with this program. Not good. Does what it's supposed to do. It losslessly normalizes the volume of all your mp3s. No more having to adjust the volume for each song. It does lower the volume of most songs significantly though (for a reason) so you'll have to set your volume higher than usual. I use foobar2000 to sutomatically reduce the volume of non-MP3gained songs by 7.5db so all songs whether MP3gained or not sound roughly the same. I love this prog. Perfect results. A classic for lossless normalization. No audiophile without this! I just ran into this and really needed this since yesterday . I noticed a track was really loud and another was far too low . Oooh, an update! Anyone who uses headphones, wants to listen to music at night when everyone else is sleeping or simply hate having one album quiet and the next one blasting like a 747 taking off are going to just love this thing. It's one of those little "must have". I let my software audio player (Foobar2000) do the replay gain, when playing music on my computer. For my hardware player, MP3Gain is perfect. Excellent idea and method for truly having all of your MP3s at the same base volume. I have several thousand files finished with this program. It's a standard for me. Awesome program. Normalizing done in a not-so-evil way. 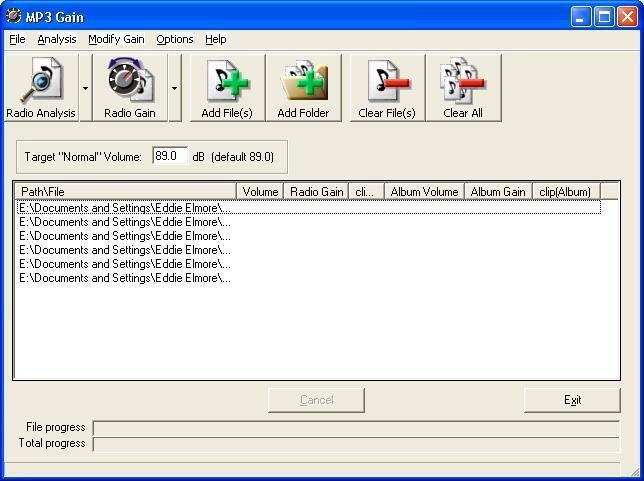 MP3Gain is a must have!! !